What is wrong with you, American public? Seriously, what is your problem? 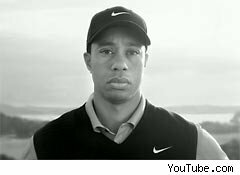 I was sure that you, the people, would watch the new Nike ad starring Tiger Woods and the disembodied, misappropriated voice of his dead father and be properly disgusted. I was confident that you'd see it as the dishonest, manipulative, venal abomination that it is. I was confident of this not just because that's how I saw it, but because that's how a fairly decisive majority of critics and advertising professionals saw it. In fact, the commercial seems to have improved perception of both Woods and Nike (NKE), judging from research conducted by Zeta Interactive, a company that monitors online buzz. Both enjoyed a large boost in their positive ratings immediately after the ad debuted last Wednesday. As is always the case with advertising, it's hard to isolate exactly how much of that was the effect of the spot itself. I suspect that the public was looking for any excuse at all, however flimsy, to forgive Woods -- one of the most popular athletes on the planet despite his apparent lack of anything resembling a personality. All due credit to Nike, then, for recognizing that desire and providing that flimsy (and dishonest, manipulative and venal) excuse. In retrospect, I should have realized that Nike's marketing geniuses understand their customers better than any silly media columnist ever could. I'm reminded of Advertising Age's Bob Garfield, who, in his farewell column, kicked himself once again for dismissing a then-new Nike slogan as "a trifle harsh" and thus unlikely to catch on. That slogan: "Just Do It." The moral here: Never bet against Nike. Even when they're wrong, they're right.